Special Counsel Robert Mueller has handed in a keenly awaited report on his investigation into Russia's role in the 2016 US presidential election and any potential wrongdoing by President Donald Trump, the Justice Department has said. The report was not immediately made public as Attorney General Barr will have to decide how much to disclose. It was not known if Mr Mueller found criminal conduct by Donald Trump or his campaign, beyond the charges already brought against several aides. 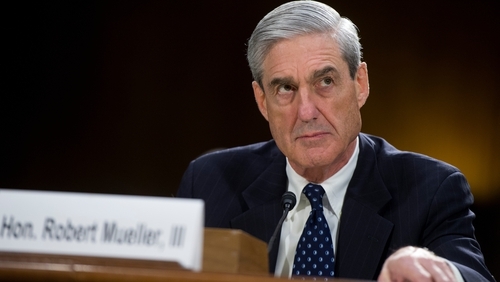 Robert Mueller, a former FBI director, has been examining since 2017 whether Donald Trump's campaign conspired with Moscow to try to influence the election and whether the Republican president later unlawfully tried to obstruct his investigation. The White House has said that it welcomes the delivery of the long-awaited report from special prosecutor Robert Mueller. "The next steps are up to Attorney General Barr and we look forward to the process taking its course. The White House has not received or been briefed on the Special Counsel's report," Spokeswoman Sarah Sanders said in a statement. President Trump has denied collusion and obstruction and Russia has denied election interference. In a letter to lawmakers, AG Barr said Mueller had concluded the probe, that he is reviewing the report and will be consulting the deputy attorney general and Mr Mueller to determine what information from it can be released to Congress. Mr Barr, who is a Trump appointee confirmed by the Senate in February, told the lawmakers he may be able to provide information to Congress on the report's findings as soon as this weekend. President Trump has sought to discredit the investigation, calling it a "witch hunt" and accusing Mr Mueller of conflicts of interest. Mr Mueller's investigators have looked into a large number of contacts between people associated with Trump's campaign and Russia such as a meeting in New York's Trump Tower between members of the president's inner circle including his eldest son and a Kremlin-linked Russian lawyer five months before the election.